On Sunday, August 19, the great feast of the Transfiguration of our Lord, Metropolitan Hilarion of Eastern America and New York celebrated Divine Liturgy in the Synodal Cathedral of the Sign in New York City. 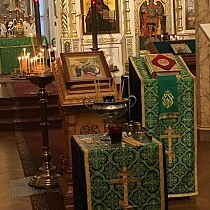 He was co-served by diocesan vicar Bishop Nicholas of Manhattan and cathedral clerics: senior priest Archpriest Andrei Sommer, Protodeacon Nicolas Mokhoff, and Deacon Pavel Roudenko. During the Liturgy, Metropolitan Hilarion ordained Subdeacon Artemy Siss a deacon and wished him God’s help in his service. For one of the most beloved summer feasts, many parishioners came to pray and have their summer offerings blessed. 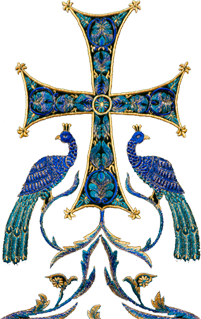 Many of them communed of Christ’s Holy Mysteries. After the dismissal, for his dedicated service as a subdeacon and for his labors in beautifying the cathedral, Metropolitan Hilarion presented Subdeacon Paul Grabbe a Synodal Gramota. 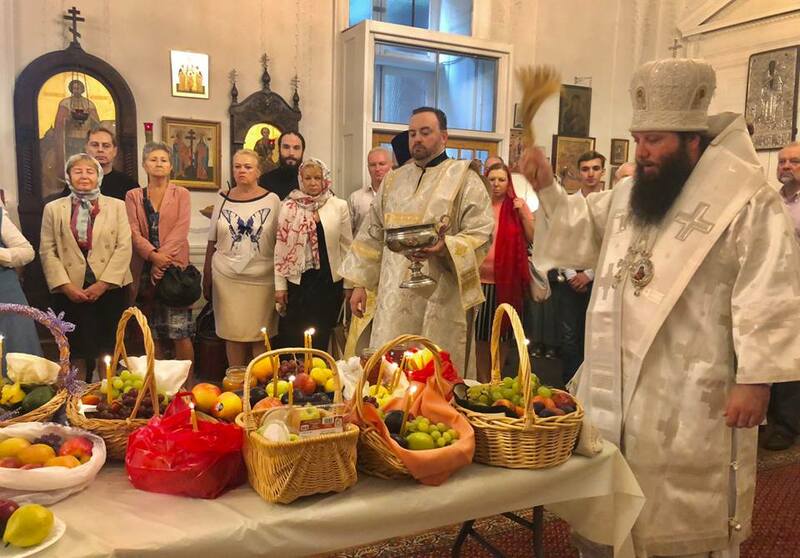 Upon conclusion of the service, Metropolitan Hilarion congratulated the clergy and faithful with the feast and, joined by Bishop Nicholas, blessed the baskets of grapes, apples, plums, and other fruits. 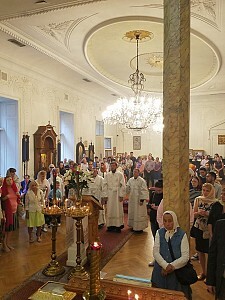 A festal meal was prepared in the cathedral hall, where the faithful were able to interact with the hierarchs and clergy.